Patriot Systems develops state of the art Alarm and Camera Monitoring software. 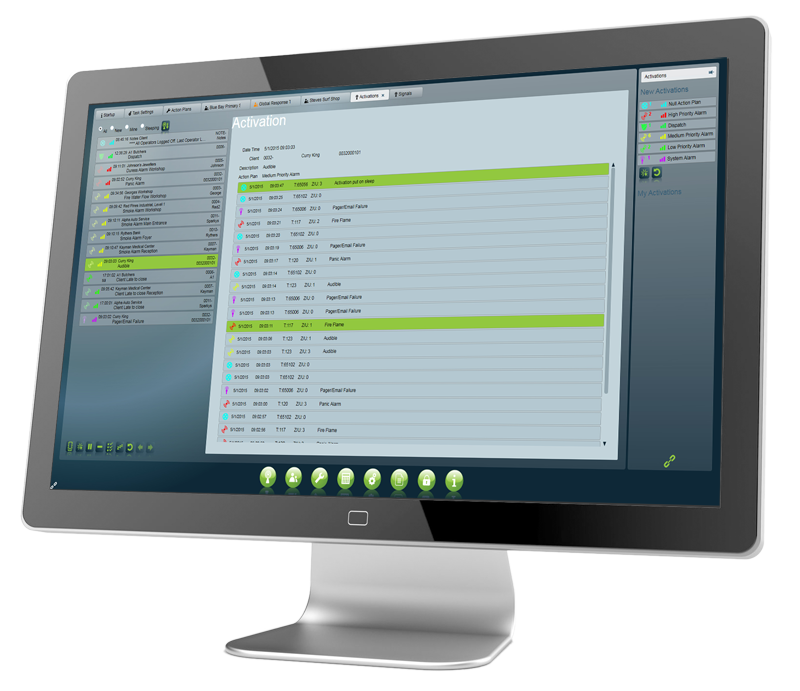 Patriot is the most advanced Central Station Software package available incorporating the latest software technologies to deliver an extensive and seamless alarm automation system that offers power, flexibility, reliability and ease of use. Patriot's development team responds rapidly to market requirements, providing a package that is both stable and evolving its feature set. Upgrade to Patriot 6.8 today and take advantage of new performance enhancements, features and integrations. Log a support case online or contact sales@patriotsystems.com to upgrade today. Patriot Systems meets the certifcation standards from the US, UK and Australia and is a proven solution for thousands of monitoring stations from over 40 countries around the globe. With a huge range of optional modules and customizable options you can configure Patriot to meet your stations unique process and customer requirements. "After doing extensive research on all available software solutions, we chose Patriot mainly because of the excellent quality of professional and prompt service received right from the beginning and then all throughout the whole process of migrating from ADSW. From the planning to evaluation, through to the data migration, training, to final implementation and special requests development. While the competition were still trying to figure out protocols, Patriot had a trial system running in less than a week." 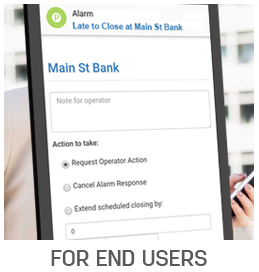 Free up your operators and reduce maintenance by allowing Dealers and Bureaus to add new clients and perform maintenance through a secure internet connection. 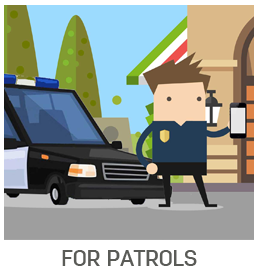 Protect your staff and lone workers by monitoring their GPS position and responding to any alert or duress signals. 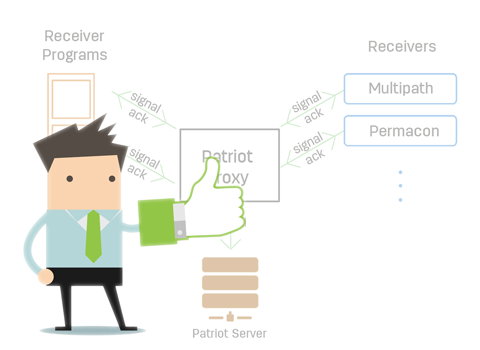 Patriot connects with Identicom, GoTOP and Patriot Minder. 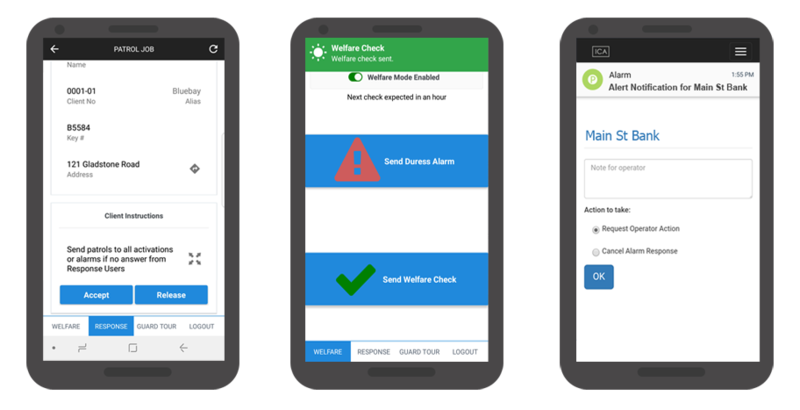 Site Managers and Users can be sent notifications by Email, Text Message or to a App. The Users can respond to these notifictions and acknowledge events, fall events back to the station operator or extend late to close events. Patriot Systems alarm montioring and response software can run on a Windows PC, connect with all major alarm receivers and is cost effective solution for start up station or small monitoring stations. With the flexible license system Patriot grows with your station allowing you to increase account limits and add additional modules to provide value added services to your users. 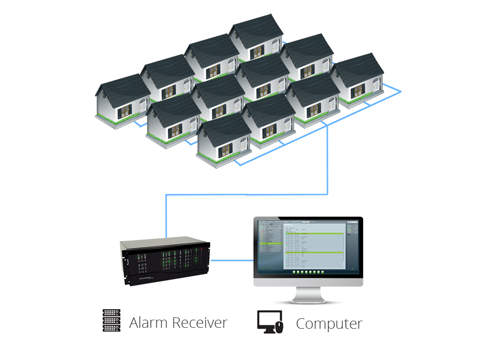 Patriot Lite is used by resorts, gated communities, zoo's, government facilities, utility stations and many more small scale inhouse monitoring scenarios. The Patriot team can assist with coping over the data from your current monitoring package to Patriot allowing you station to switch over to Patriot while keeping all your customer details and other relevant data. Patriot has succesffuly upgraded many stations to Patriot and has development tools to migrate stations from ADSW, CAMS, SIMS, BOLD and many more packages.